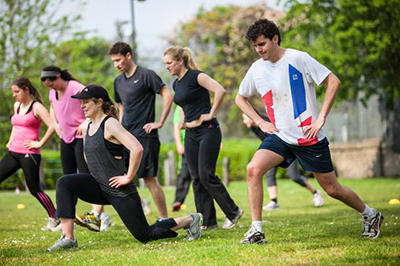 Classes are run by a Fully Qualified and Insured Fitness Instructor and Personal Trainer. The classes are exiting, fun and very sociable. They are designed for all fitness levels from beginner to advanced. So whether you're a complete novice to exercise or have a few Triathlons under your belt our classes can help motivate you to meet your full potential. With our classes you are always guaranteed to have fun, get fit, lose weight and meet new friends! 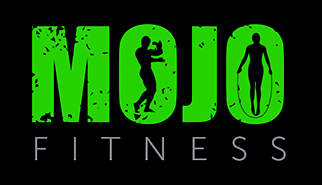 We also arrange social gatherings including race events,nights out and many other fun events that give MojoFitness a real club atmosphere! What to expect from a Mojofitness workout? Our classes include many different areas of fitness from cardio,fat burning,ab challenges, circuit training,strength training,endurance, high intensity training to name but a few. Each week the intensity of your workouts will increase along with your level of fitness. This will help you lose weight, get fit and tone up! We start off with a warm up to get the blood flowing to the muscles, then we do some stretches to minimise injury, following this we get stuck in to increasing the heart rate using a range of exercises. The classes last for aprox 60mins, but time flies when your having fun! Give it a go! Get your MOJO back! Private Facebook group giving Nutritional tips and lots of motivation! 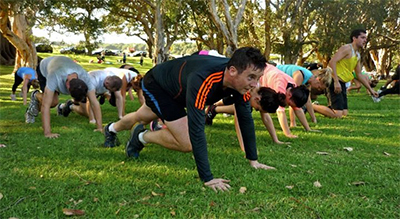 We also have a Buggy Bootcamp class every Monday morning from 9.30 – 10.30am. Perfect for the busy Mum or Dad who are looking to get into shape but have no one to mind their little minions! Similar to our bootcamp classes only you bring your babies with you in the buggy and do your workout around them! These classes are pay as you go and cost 4eur a class. The location of these classes are to be confirmed. Our classes are made up of a number of different types of exercises from aerobic and cardio, strengthening, toning & conditioning, and of course a few games to keep you smiling! We use circuits and other forms of techniques to give you an over all workout. No two classes are the same within the 5 week program so you won’t get bored! Our bootcamp classes create a spirit of teamwork, group support and cohesion with complete encouragement! You take the class at your own pace, you’re in competition with no one but yourself! It’s our job to push you as much as you can be pushed and it’s your job to push yourself as much as you can to see the best results! As a group you’ll see that everyone will motivate each other to get the best out of their workout! Burns lots of Calories - The type of exercises you do targets muscles throughout your entire body which means you burn lots more calories than you would using equipment based exercises that isolate one single muscle group at a time. You’re Less Stressed - When researchers compared the mental benefits of an outdoor workout with an indoor one, 71 percent of the fresh-air exercisers felt less tense afterward, while 72 percent of the cooped-up crew felt even more stressed. Builds Confidence - Getting through a challenging workout builds confidence and self esteem. Look into yourself and realize that you just did something so good for your body and mind! You’re Never Bored – Because you never know what to expect! Each class is different and you’re constantly moving between exercises. Before you know it, you’re done! 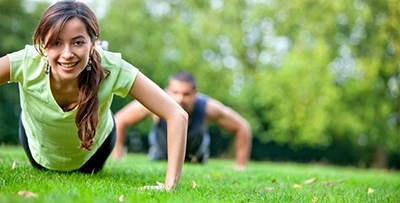 Like-minded exercisers - Some people take up activities for the social scene, others because they have a goal in mind. A real positive about Boot Camp is that because of what it stands for, you are going to meet other people similar to yourself who want to seriously improve their lives. Your health is your wealth – Exercises combat health conditions such as high blood pressure, high cholesterol, depression, improves mood, boosts energy, promotes sleep. The list is endess!